In last week post, I shared an idea on using mini note cards to brighten someone's day and let them know you're thinking about them by slipping a note into their lunch. It had me thinking of all the other ways you can use a mini note card. These are really fun for tween and teens. Rather than passing notes in class, or trying to text one another without getting in trouble, these sweet little cards slip up into the vents of a locker to brighten a fellow student's day. Sometime the larger blank thank you cards feel intimidating because you think you need to write to fill in the blank. While you can't mail these little mini thank you note cards, you most certainly can write a small note and hand it to the person or slip it in a purse, on a desk, or at a table setting instead. 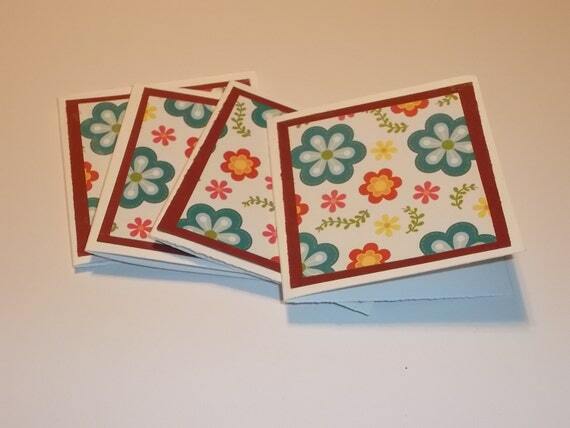 I always think of the holidays, but parties and gifts are a great use for these mini note cards, too. You can attach them to a package (with or without an envelope), or slide them down into a gift bag. They can have a hole punched in the top corner so they can be tied to packages for favors at a party. They even slip nicely into a bouquet of flowers on mother's day or just because. If you're a business owner, like I am. SWAG is something you give your customers as a way to say thank you and spread the word of your business. As many of you know who have ordered from the shop, I always slip in something extra along with your order. Mini note cards are wonderful for adding to packaging to thank a customer or allowing them to have something extra to use as any of the ideas above. Well, those are my five uses, can you think of any other ways you'd use mini note cards? Leave your ideas in the comments below or over on my facebook page under this post. 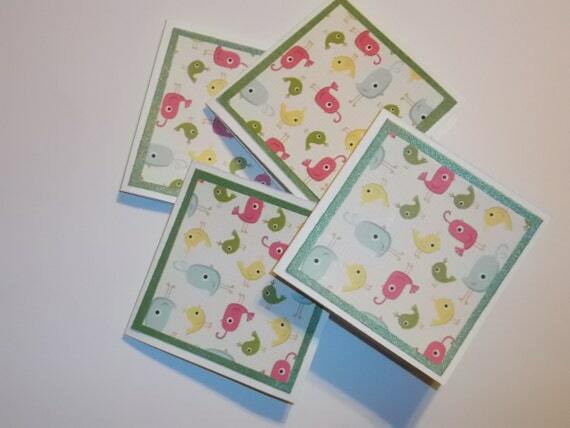 Next week, I'll pick one lucky person to receive a set of mini note cards from the shop. Share and tag me on twitter @mrschadt to have your name put in twice.